Dr. Caggiano of Caggiano Orthodontics is an award-winning provider of children and adult braces near Parsippany, NJ. He has transformed the smiles and lives of thousands of children and adults with braces near Parsippany, NJ, as well as Morris Plains, Boonton, Mountain Lakes, Hanover, Whippany, Montville, Lake Hiawatha, Morristown, Pine Brook, Dover, Rockaway and Denville, NJ. If you are considering braces or orthodontic treatment for you or your child, Caggiano Orthodontics, has a wide variety of braces and orthodontics. Whether you prefer the traditional route with metal braces or new age invisible braces, such as Invisalign, Caggiano Orthodontics has you covered. And braces are not just for kids anymore! You can have that confident beautiful smile that you have always imagined. Get back to doing the things you love with a radiant smile. If you are ready to find out if braces are right for you or your child, schedule your Caggiano Smile Assessment today! Call 973.887.8780 to speak with one of our orthodontic team members or request an appointment online. Come experience Caggiano Orthodontics! 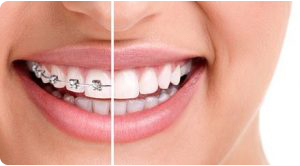 You will see that we offer affordable and effective braces near Parsippany, NJ, as well as Morris Plains, Montville, Boonton, Mountain Lakes, Whippany, Lake Hiawaka, Rockaway, Denville, Pine Brook, Morristown, Hannover and Cedar Knolls, NJ.